St. Pat's Day is the day that EVERYONE can be Irish and celebrate! and everything doesn't have to be printed with shamrocks to be festive. It's easy: just start with the color green, and create! 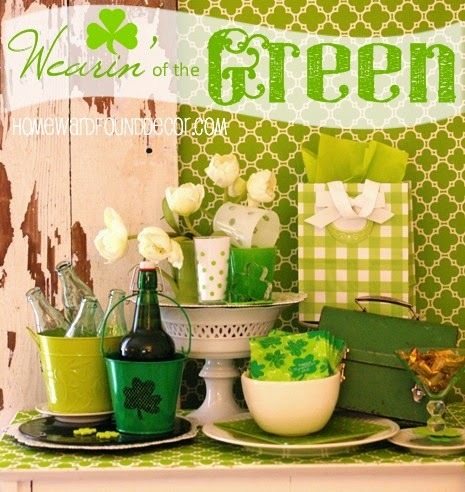 can be combined to create a fun green & white service bar or table setting. ... and of course, you can decorate YOURSELF, too! You wouldn't want to be caught without some green on!